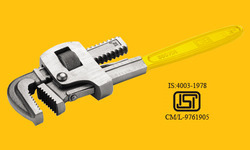 - This Multifunction Universal Wrench Works with Spline Bolts, Torx, Square Damaged Bolts and Any Size Standard or Metric. Sizes: 250, 300, 350, 450, 600 & 900 mm. Our company supply a wide range of Second Hand Ring Tools and Fix Tools which are manufactured from high grade quality materials. 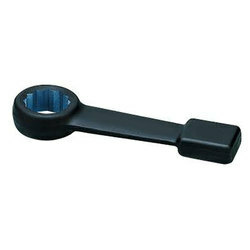 These Hand Ring Tools and Fix Tools can be availed at industrial leading price. - Equal openings at both ends. - Bihexagon ring end offset at 15° angle and open end set at 15° angle. - Panel and Heads polished. Drop Forged Chrome Vanadium Steel on request. The product is based on FEDERAL GGG-W-636E.